About half of international students attending Seoul National University do not adequately understand lectures conducted in Korean, according to a survey of 432 international students conducted by SNU’s diversity council showed. Asked about understanding lectures conducted in Korean, 47.2 percent of the respondents said they couldn’t follow the class at all, or they often can’t fully understand the lecturer. Only 17.8 percent answered that they were able to understand most of the lectures. Meanwhile, 43.8 percent counted the “lack of Korean language proficiency” as the main reason they struggle to study in Korea. More than half of the respondents said they found it difficult to join class discussions and 36.6 percent said they struggled to participate in group projects. 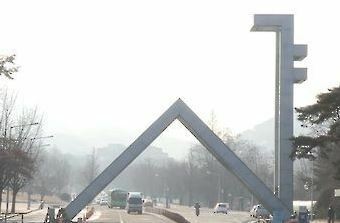 Students who come to Korea on Korean Government Scholarship Program are required take a one-year language course before they start studies at SNU. However, about 43 percent of the 107 students who took the course said it was not enough to gain proficiency in the language. The survey, however, found that many international students were still interested in taking classes on Korean language or Korean culture despite the difficlties. Asked about plans to take classes on Korean language or culture, more than 70 percent of the respondents 432 international students answered that they would take the classes. Meanwhile, 36.1 percent of the respondents said SNU should increase the number of lectures conducted in English, while 22.9 percent said the professor’s English proficiency should be improved to raise the quality of the English lectures. “To help the international students, the university should seek plans such as increasing the number of English lectures and providing better Korean language courses to the students,” SNU’s diversity council said. The council suggested offering English subtitles for the lectures conducted in Korean or arranging tutoring by classmates.